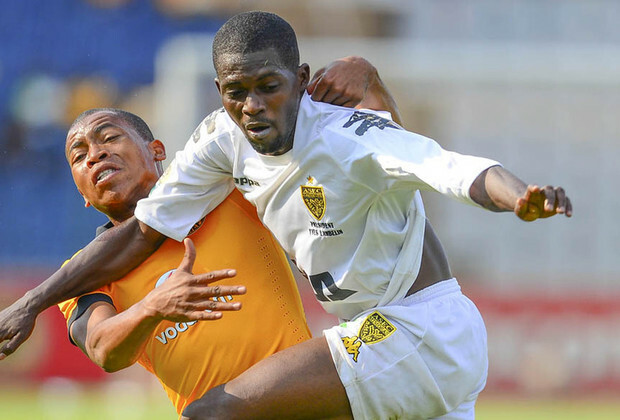 Amakhosi's apparent lack of interest in the tie was reflected in the starting line-up, but they would still have backed themselves to get a positive result at home. However, goals from Zagbayou Eurand and Boua Koffi Davy - either side of Matthew Rusike's goal - sees the Ivorian holding all the aces. Chiefs dominated from the first whistle, but it was Koffi Stevens, the Asec midfielder, who almost scored in the fifth minute with a shot from outside the box after Reneilwe Letsholonyane lost possession. Chiefs had a chance of their own in the 11th minute when some good play by George Lebese led to a pass to Rusike, but the striker's shot was saved by Sangare Bodra and the follow-up shot by Mandla Masango went wide. Asec then opened the scoring in the 36th minute through Zagbayou Eurand after he finished off a thrown in. Lebese didn't return for second half after appearing to struggle with a leg injury and was replaced by Philani Cele. Eleven minutes into the second half Masango almost found the equaliser, but his well-executed free-kick was tipped over the bar by the visiting goalkeeper. To make matters worse for Chiefs, Asec players were falling offer the place trying to waste time. In fact, it took all of 86 minutes for Chiefs to get on the scoresheet with Rusike smashing the ball home on the half-volley to draw Chiefs level. However, any hopes of a comeback were dashed when Boauh scored with the last kick off the game, giving Amakhosi an uphill battle in west Africa if they hope to reach the group stages.